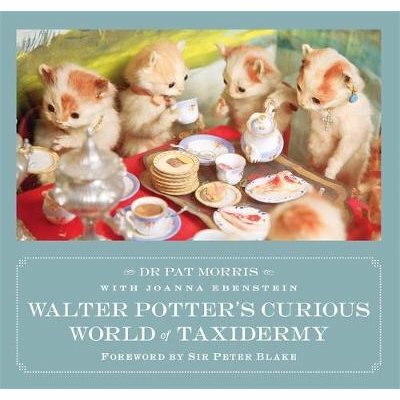 Walter Potter (1835-1918), a country taxidermist of no great expertise, became famous as an icon of Victorian whimsy. His tiny museum in Bramber, Sussex, was crammed full of multi-legged kittens, two-headed lambs and a bewildering assortment of curios. Closed in the '70s, the museum was variously re-established before being auctioned off in 2003. It was reported that a GBP1M bid by Damien Hirst to keep the collection intact was refused, but in 2010 many of Potter's key pieces were exhibited by the artist Sir Peter Blake at London's 'Museum of Everything', attracting over 30,000 visitors in 6 weeks. The subsequent dispersal of Potter's works has meant the loss of a truly unique Victorian legacy. Here, perhaps for the last time, the collection is preserved and celebrated with new photographs of Potter's best-loved works.